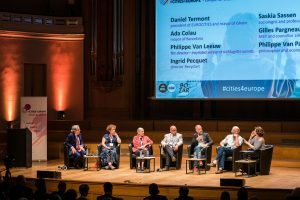 Home » Category archives "Altres notícies"
Terrassa, representing its Urban System, participated from October 17-19 in Grenoble, France, at the Economic Development Forum (EDF) meeting of the EUROCITIES network. 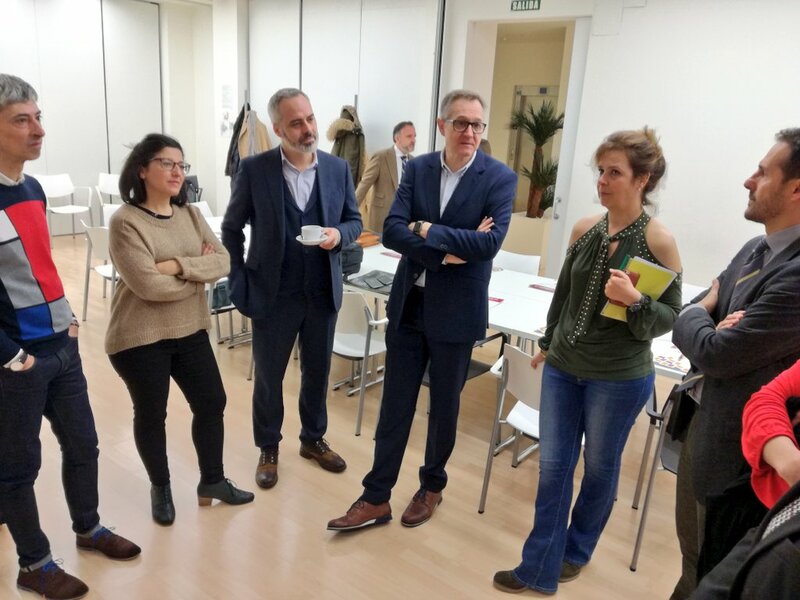 In this meeting, Terrassa took over the vice presidency of the working group (WG) of City Branding and Economic and International Relations, shared with Genoa and Ghent. Barcelona took over the presidency of this WG. More than 100 participants, including 5 elected city politicians, from around 50 cities discussed and shared experiences on the links between internationalisation and economic development in cities, the changing trends of international cooperation and their impacts on local development policies and the strategies developed by cities with/toward other continents. 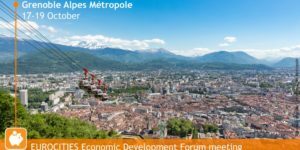 The main objective of the EDF meeting organized by Grenoble Alpes Métropole was to discuss on how cities are working on international policies and strategies and how they act on internationalisation at local level. Urban societies are today at the forefront for facing global challenges that have strong impacts on local economies. 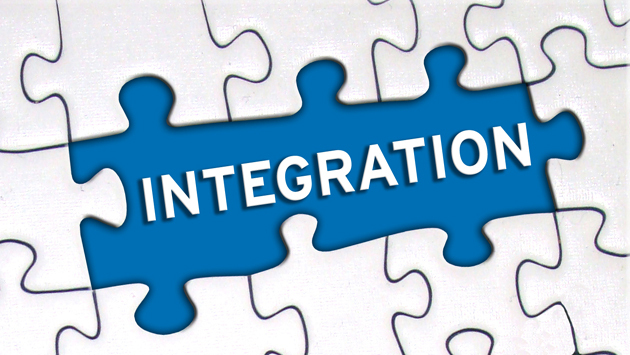 The internationalisation process is changelling local development strategies wich have to face new stakes (digitalisation, economic competition, migrants, security, climate change) and to look for new opportunities (markets, investments, sicentific partnerships) and solutions. 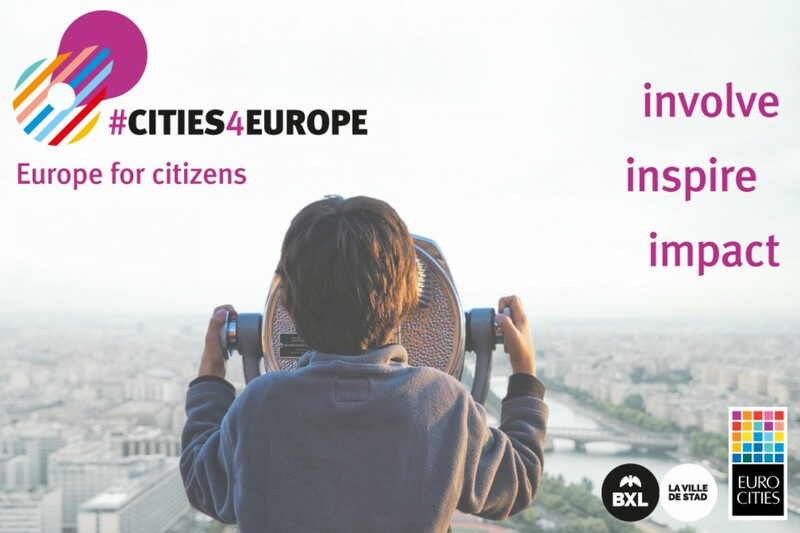 European and national frameworks give now to cities greater capacites to act at international level (SDGs, European projects,…), especially as a support for local stakeholders but also to develop their own. In this context some of them have adopted explicit international strategies and other not. 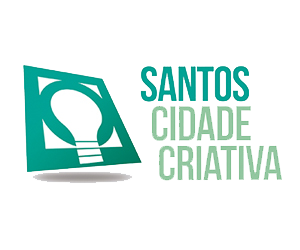 During the meeting, the participating cities could enjoy speechs and different panel debates about cities internationalisaton and economic attraction. One of the panels was a dialogue between cities sharing their strategies. In the roundtable discussion the participants were from Vienna, Nantes, Barcelona, Helsinki and Terrassa. The director for European and International Affairs,Joan Chicón, explained the recent strategies in Terrassa about internationalisation and competitive identity. 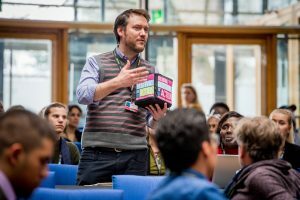 The main speech in the WG meeting was given by the associate professor at the Copenhagen Business School Sebastian Zenker. 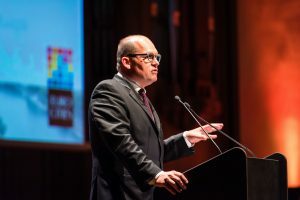 Zenker explained that city marketing or branding “is often mistaken as place selling, focusing on the promotional aspects of marketing while disregarding the central aim of place marketing and branding”. This aim must be “to maximize the efficient social and economic functioning of the area concerned, in accordance with wathever wider goals have been established”. 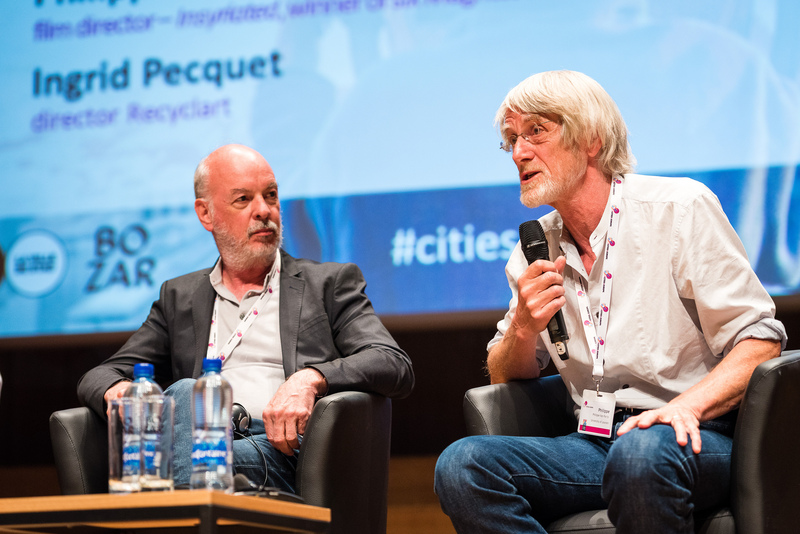 The City of Nantes will take over as the Chair after Vienna’s two-year Chair period. At the same time, Helsinki will start as the Vice Chair City and become the Chair of the Forum in 2020. 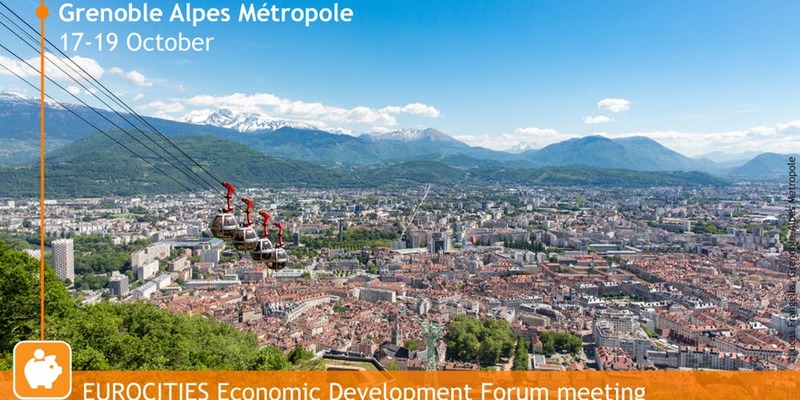 Tanja Wehsely, EDF chair and councillor of the city of Vienna, Claus Habfast, Vice-President Grenoble Alpes-Metropole, and Martin Zahner, Grenoble Ecole de Management (GEM), opened the meeting on 17 October. 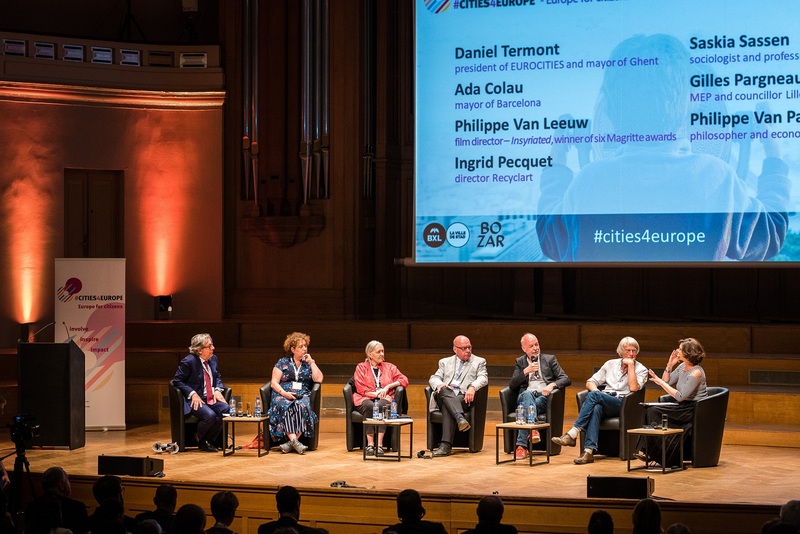 Tanja Wehsley highlighted the fundamental role that cities have to play now for a better Europe for citizens. 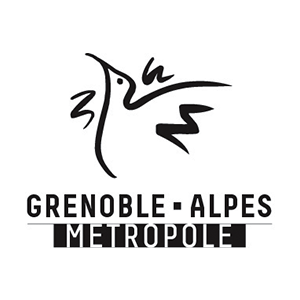 The Vice-President Habfast presented the Grenoble Alpes-Metropole and its plan of action for the internationalisation. Martin Zahner stressed the importance for the local development of linking the city’s and university’s strategies. 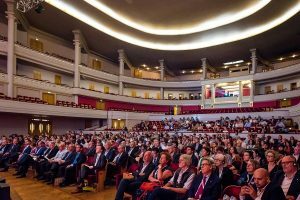 On 18 October, the two keynote speeches by Rose-Marie Di Donato and Peter Ramsden gave several inputs for the internationalisation strategies at the local level. In particular, Ms. Di Donato underlined the relevance of a long-term strategy and the need to wait for medium term «return on investment». Mr. Ramsed focused his speech on the factors that impact on urban level, stressing necessity of choosing a clear method for rooting transnational learning in local policy. WG Innovation members discussed on how to manage night time economy and the follow up on the paper Local Innovative Ecosystem. 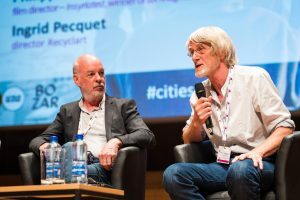 The debates stressed the importance to face the new urban challenges analysing the different ecosystems that act in the cities. The members elected Helsinki as new Chair and Espoo as new Vice Chair. WG City Branding and International Economic Relations shared experience on how to measure the effectiveness of the city branding strategy – the monitoring and the evaluation process. 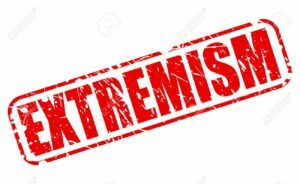 Furthermore, a critical friend review on the case of Barcelona took place during the working group meeting. The session moderated by Sebastian Zenker (Copenhagen Business School) highlighted the strengths and weaknesses of the Barcelona’s strategy. 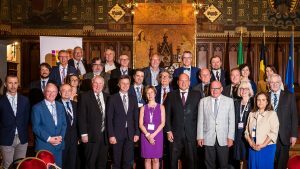 The members elected Barcelona as new Chair and Genoa, Terrassa and Ghent as new co-Vice Chairs. WG Entrepreneurship and SMEs members discussed how the cities provide with optimal support to international talent and SMEs. 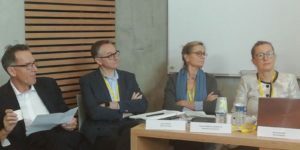 The presentations by different actors of the local context (cities, university and urban agency) and the debate underlined the relevance of a holistic approach to support SMEs and entrepreneurship in the internationalisation process. The members elected Braga as new chair and Barcelona as new Vice Chair. 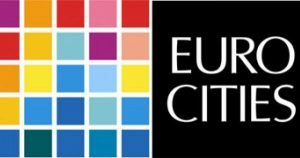 EUROCITIES is the most important city networking and lobby organisation in Europe. The city network encompasses 135 cities with a population of more than 200,000. The network has six thematic forums, where the Economic Development Forum’s sphere of operations includes industrial and innovation policy. The Urban System of Terrassa consists of several cities: Castellbisbal, Matadepera, Rellinars, Rubí, Sant Cugat del Vallès, Sant Llorenç Savall, Sant Quirze del Vallès, Terrassa, Ullastrell, Vacarisses and Viladecavalls, with a total of 400,000 inhabitants. 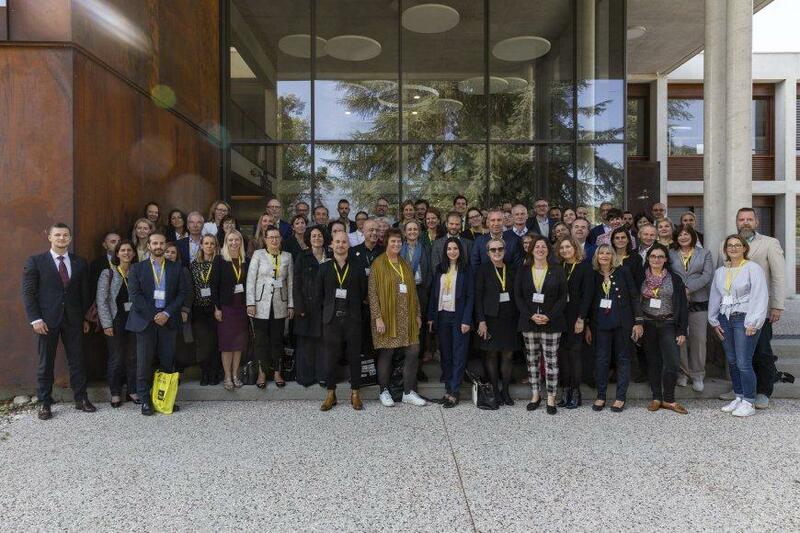 – Spring meeting: 27-29 March 2019 in Florence – ecosystem of innovation. 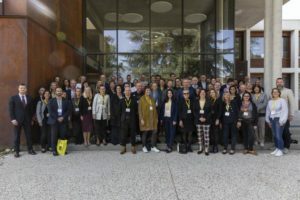 – Autumn meeting: 16-18 October 2019 in Munich. A total of 28 youth workers from up to 20 European countries meet in Terrassa from Sunday, July 15, until next Friday, to work on the quality and inclusive capacity of transnational youth exchanges. 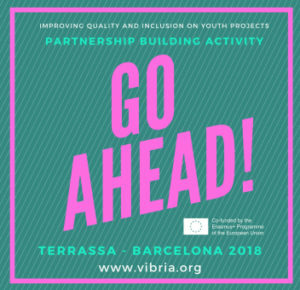 The seminar is called Go Ahead !, is part of the Erasmusplus program and is hosted by the entity from Terrassa La Víbria Intercultural. During the seminar, common challenges and new professional links will be generated, good practices will be shared and work will be done to improve the quality of youth exchanges. The meeting aims to improve the inclusive capacity of youth exchange projects. 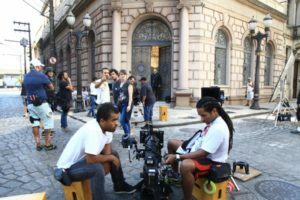 It is prioritized that young people with fewer opportunities can enjoy international mobility experiences adapted to their needs. 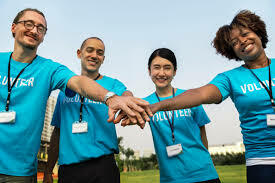 Thanks to youth exchanges, young people aged 13 to 30 can acquire new skills and work values ​​of interculturality and tolerance by learning to appreciate the cultural diversity. The meeting hopes to develop a strategy with future projects among members of the network. The Víbria Intercultural is a 15-year-old community that promotes international mobility for young people from the Casa Baumann Office in Terrassa and other information points of Manresa, Igualada, Palau-solità i Plegamans and Barberà del Vallès. 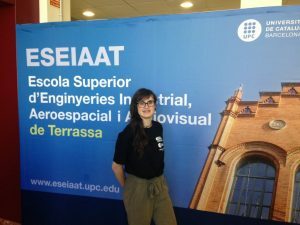 A junior high school student at INS Terrassa is the winner of a European competition that, as a prize, has an Arctic expedition. Judith Plaza has achieved this milestone as author of a device that determines the latitude of the earth measuring the magnetic field. You can set the coordinates anywhere on the planet without specifying GPS or satellites. Judith’s project is one of the six winners of the European Edu-Arctic contest, which had 160 proposals from all over the continent. 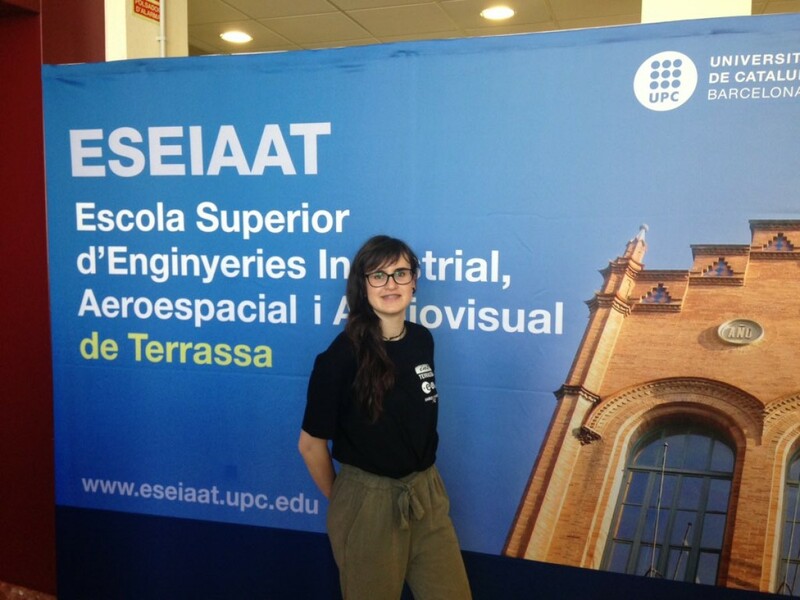 Judith Plaza and his tutor, technology professor at the center of Terrassa Jordi Escofet, will travel for 15 days in August to the islands of Svardbald, from Norway, with 2,600 inhabitants. Its main feature is that it is the inhabited area (with permanent civil population) located more to the north. There are other settlements further to the north, but with temporary teams of researchers living there. The Plaza project went through two selection processes, even having to defend it by videoconference in front of university professors and researchers from Poland, Denmark, Norway and the Faroe Islands. Edu-Arctic is a European educational program that aims to attract young students to the study of natural sciences and polar research. EDU-ARCTIC works with innovative practices in science education and provides a program aimed at strengthening this education in schools, with special emphasis on 13 to 20 year olds and their teachers. Among the tools they offer web seminar transmissions (with contents on polar research); a polarpedia, an online encyclopaedia with scientific expressions, educational resources and dictionaries in, at least, 5 European languages; the contest that has won Judith Plaza; workshops for teachers, and a monitoring system for schools to observe and record data of their surroundings. Representatives of the Culture Service of the City Council of Terrassa participated last week in a peer-learning visit to the Turkish city of Izmir, in a meeting between the Culture Pilot Cities. 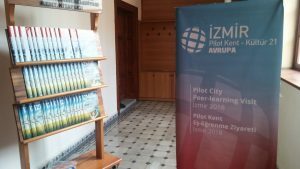 From Izmir explained that the city emphasizes on the governance of culture, education and its economic dimension. The city also has a good background in the integration of a cultural dimension in the processes of urban regeneration, an aspect that is also being taken into account in recent years in Terrassa. 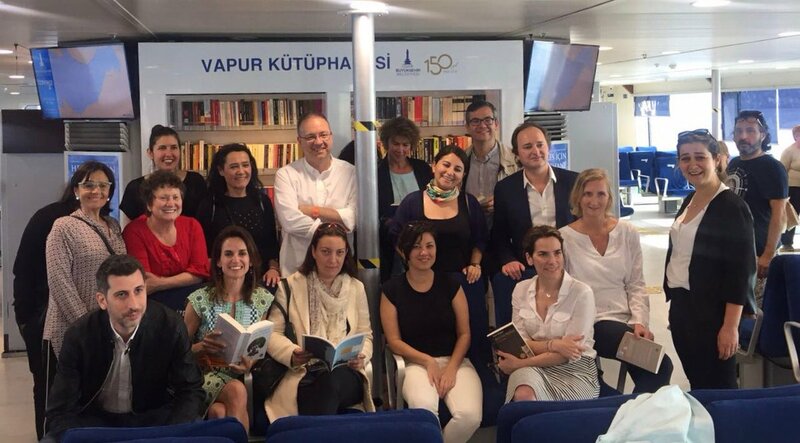 In addition to a presentation of cultural policies in Izmir, the learning visit also addressed issues such as cultural mobility and the creation of networks in Europe and the Mediterranean and the connections between culture and social inclusion. In 2016 Terrassa was selected to participate in a European project on culture in sustainable cities. 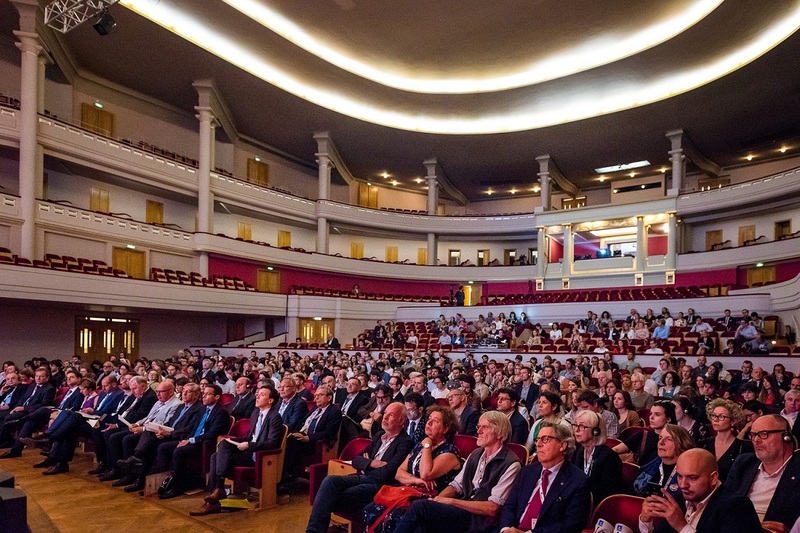 Once the document “Cultura 21: Actions” has been adopted, with the commitments on the role of culture in sustainable cities, within the framework of the Culture Summit of the UCLG network – United Cities and Local Governments, in Bilbao, in 2015, and following the successful experience of the Pilot Cities program in 2014, the Network Culture Commission launched the program “Culture in Sustainable Cities: Learning With Culture 21 Actions in Europe”, postulated by the City Council of Terrassa through the Culture Service and with the support of the European and International Relations Service. This program aims to enable European cities to participate in a learning process based on the principles and actions of Culture 21; Deepening the UCLG’s work in the field of culture and sustainable development, and the experience and knowledge of Culture Action Europe in the field of representation and taking into account the voice of the agents of civil society in culture. Terrassa together with other European cities such as Gabrovo (Bulgaria), Galway (Ireland), Izmir (Turkey), Lisbon (Portugal), Namur (Belgium), Swansea (Wales – United Kingdom), Maastricht (Netherlands) and Timisoara (Romania), among others, is participating in an equitable learning process, sharing knowledge about the role of culture in sustainable cities. 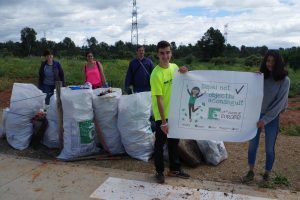 In November 2016 TERRASSA already collected in an article an analysis of the self-evaluation of Culture 21: Actions, with results that placed the city above the global average in all areas. These, they considered aspects such as cultural rights; culture, equity and social inclusion; culture and education; heritage and diversity; culture and the environment; governance of culture; economy; urban planning and public space, and information and knowledge. The concept of festival usually refers to music or cinema, but the German city of Bonn has hosted a “different” festival twice, in order to share experiences that allow achieving the Sustainable Development Goals (SDGs) of the UN planned in its Agenda 2030. 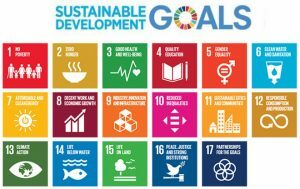 In 2015, the Assembly of United Nations adopted this global agenda to improve and to replace the Millenium Development Goals. 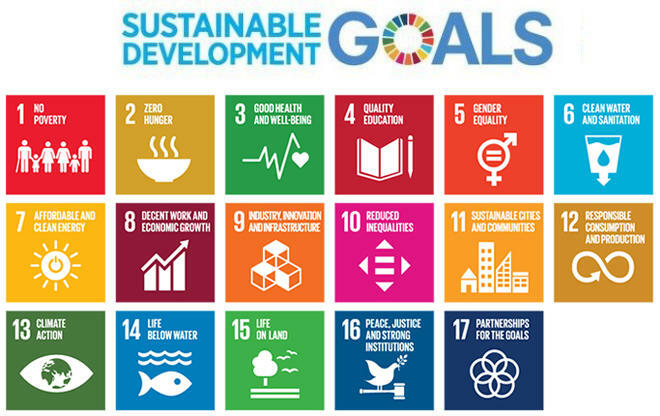 In 2000, the objective was to achieve 8 goals that would allow greater equality in the world and, especially, for developing countries (with issues such as extreme poverty, hunger, child mortality and malaria). Thus, the ODS become 17, with an agenda that becomes the framework of reference for global programs, which require involvement of local governments. In this article we will explain a bit how was the Bonn festival, while in a second we will focus on how to implement and locate SDGs in the cities. 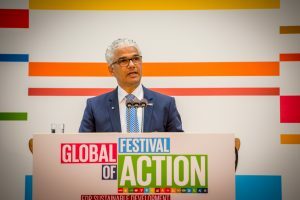 Bonn, again, hosted the GLOBAL FESTIVAL OF ACTION (organized by the United Nations) between 20th and 23d March, which brought together very plural voices. 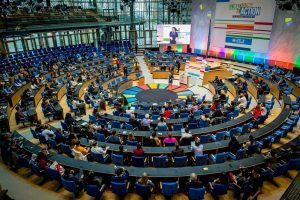 There were more than 1,500 participants from more than 100 countries, also taking into account that some 30,000 people from up to 158 countries followed some of the sessions via streaming, making the hashtag #SDGlobalFest a trending topic on Twitter in Germany. The objective was to connect experiences, learn about other realities and be able to come back home with the task of promoting the ODS locally. 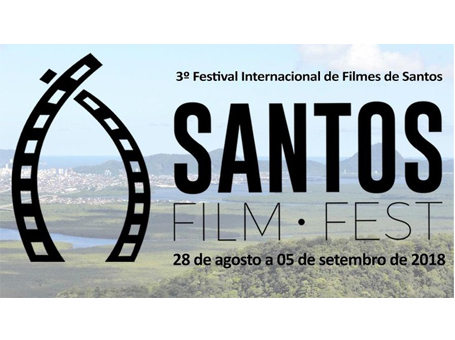 The next edition of the festival will take place between March 6th and 9th, 2019, in the same city of Bonn. 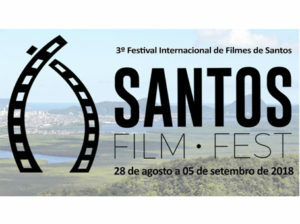 The festival featured screening of films, conferences, debates, shows of entities and even more entertaining aspects such as live cooking and music. 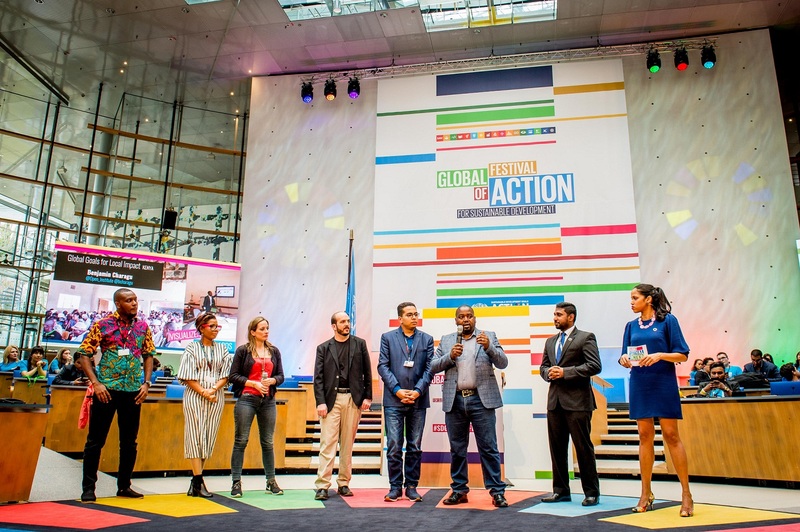 After the welcome by the mayor of Bonn, Ashok Sridharan, the director of the SDG Action Campaign, Mitchel Toomey, emphasized the need for SDGs to become part of the daily life of civil society, either as a beneficiary but also as an executor. The Afrika Youth Movement’s manager Aya Chebbi said that “our struggle is that of African voices,” focusing in a specific area of ​​the planet where SDGs make more sense. 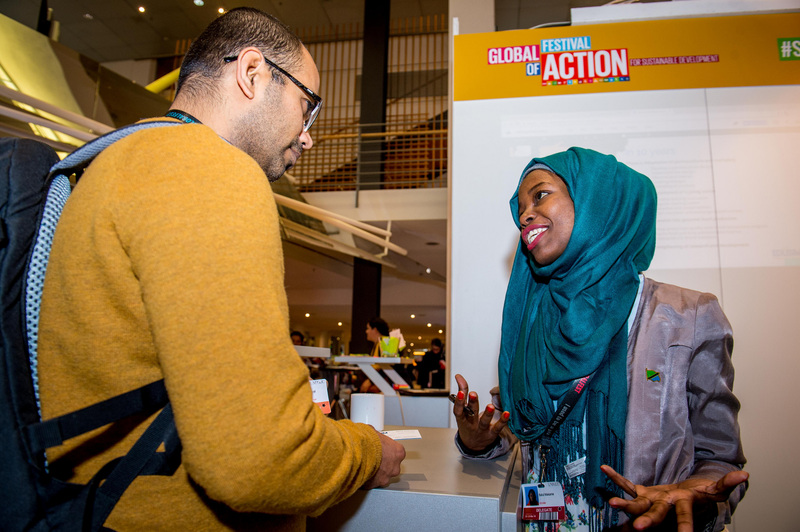 Chebbi began to travel through different African countries after the Arab Spring in his country, Tunisia, and discovered that young people shared similar problems. 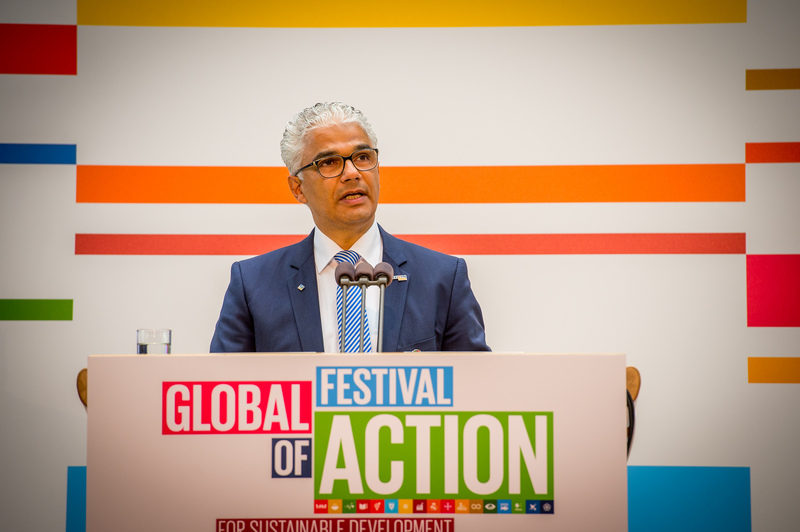 An important section in the festival was the first edition of the UN SDG Action Awards. 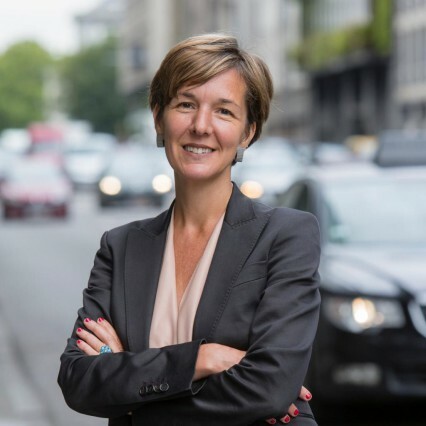 The communication prize was for the Belgian city of Gent, who identified five simple and specific challenges linked to SDGs (such as going to work on bicycle or not eating meat for a while) in order to change habits and with the participation of 6,000 people. 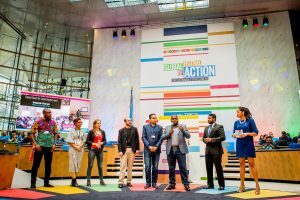 Other awards recognized the fight against corruption in Nigeria, with programs aimed at children and young people in schools; the mobilization of young people from Morocco with the initiative Youth Engagement Morocco to work on the achievement of 17 SDGs, and the inclusion for sexual and reproductive health education among adolescents in Ghana, with a program in schools and houses that has already formed more than 1,000 girls. 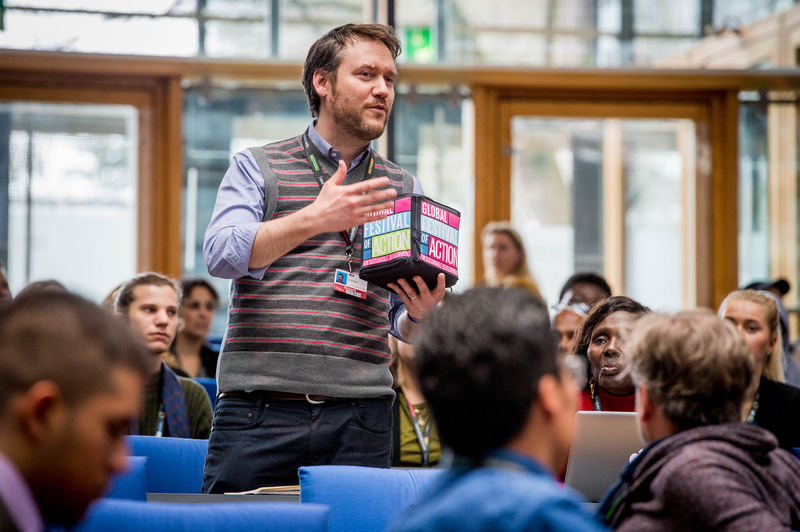 – Take into account university campuses as living laboratories to implement appropriate public policies that contribute to the development of SDGs. 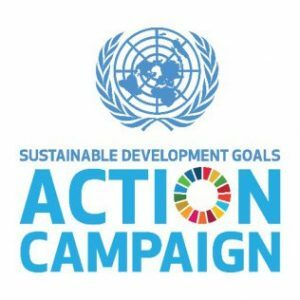 – Share the SDGs with those people with less familiarity with sustainability issues through art and culture. – Promote collaborative spaces in different organizations to better understand their potential contribution to SDGs. 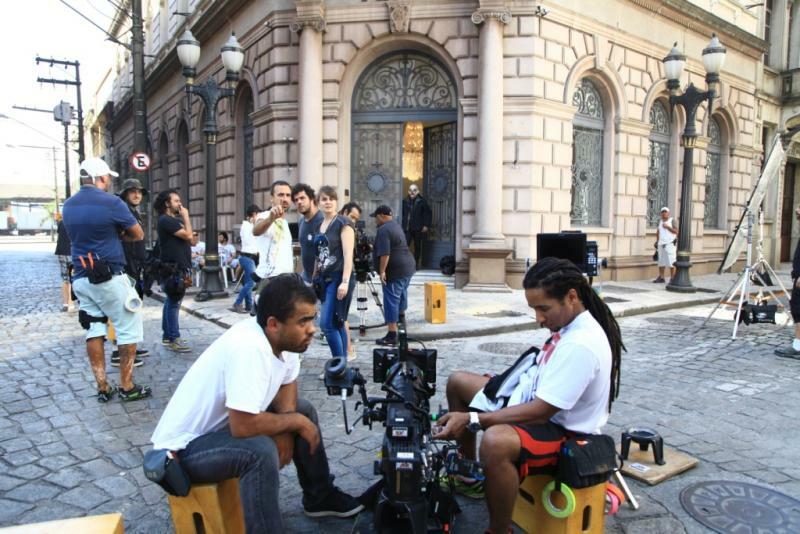 – Work in alliances between different actors to make the message as cross-cutting as possible. My World 2030. Platform of data generated by the same citizens to offer a follow-up of ODS, while encouraging participation, as it includes individual indicators of progress. Humans of my world: it presents stories beyond data and numbers. With testimonials, already collected in more than 30 countries, which are even used in high-level political meetings. World We Want. 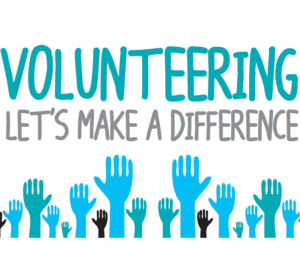 Joint initiative between the UN and members of civil society. 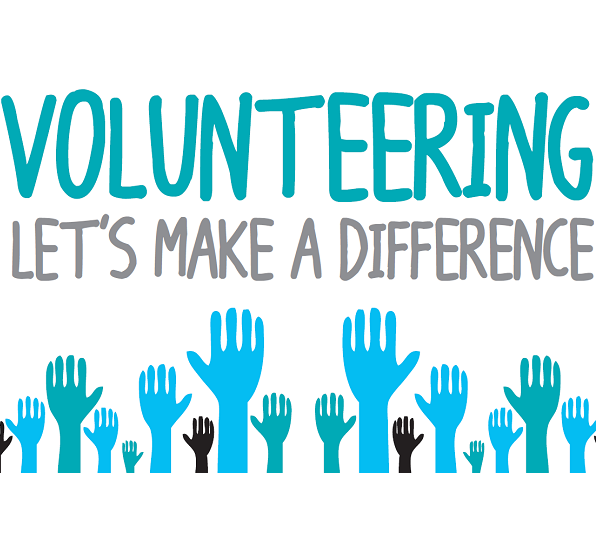 It allows any person to participate in different queries related to the ODS and to contribute their opinions. Valladolid hosted this week, April 10th and 11th, a meeting of the contact officers of the Spanish cities members of EUROCITIES, the most important network of cities in Europe. 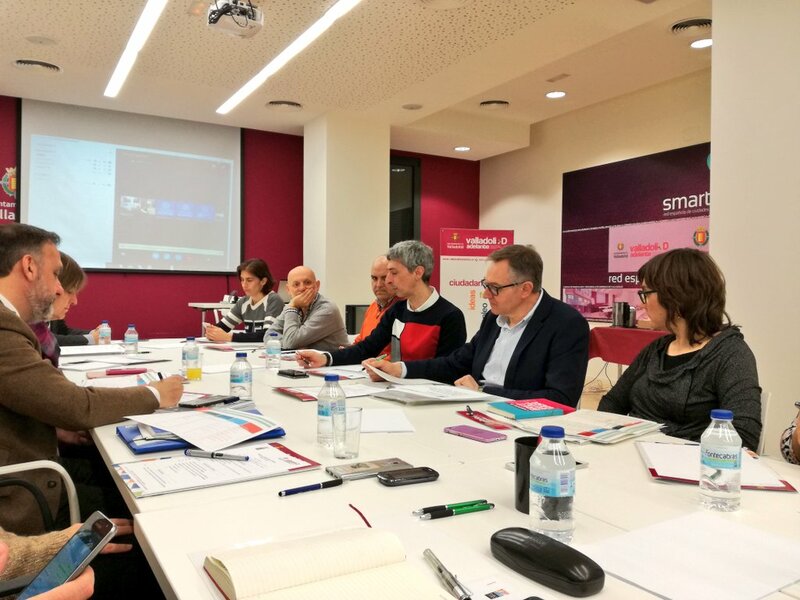 Terrassa, together with its urban system (with 10 more municipalities from Vallès Occidental that reach more than 410,000 inhabitants) has been part of the network since 2008 and, since January 2017 and together with Barcelona, ​​has the vice presidency of the working group of Branding Management & City Attractiveness, within the Forum of Economic Development (EDF) of the network. This meeting was agreed during the General Assembly of EUROCITIES in Ljubljana, Slovenia, where the Spanish cities of the network held a small meeting. A presentation with the participation of the hosts, with a direct conference from Brussels with the secretary of EUROCITIES, Anna Lisa Boni, who talked about the future challenges of the network. The Valladolid City Council also exhibited its European projects and innovation, such as REMOURBAN (urban transformation and smart cities), S2CITY (intelligent systems), TT (transport and technology), CENCYL + (sustainable cities network ), INLIFE (about dementia on elderly people) and URBAN GREEN UP (transforming urban spaces with solutions based on nature). A thematic session divided into areas such as the European strategy of cities, the Urban Agenda and urban empowerment. 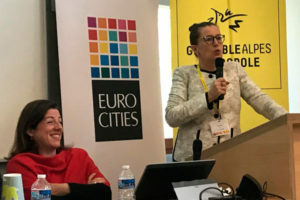 Terrassa spoke of its link with the Urban Agenda, while Barcelona presented some of its projects. 1. Make the defense posture on the cohesion policy of cities to the Ministry (Community Funds). 2. 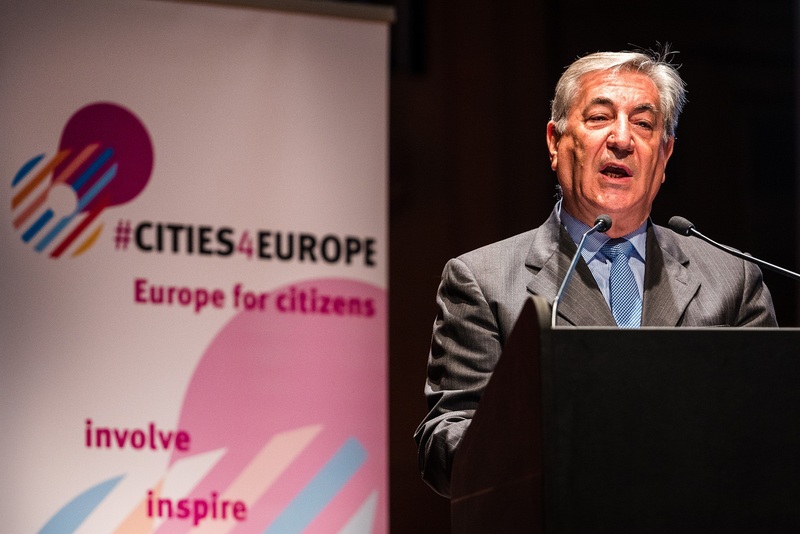 Governance and collaboration: a joint strategy of Spanish cities from the network. 3. 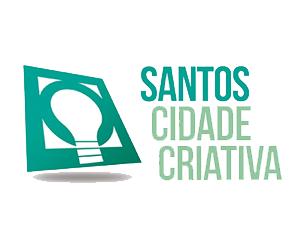 Take advantage of the joint synergies of cities for participation in initiatives and projects. 4. 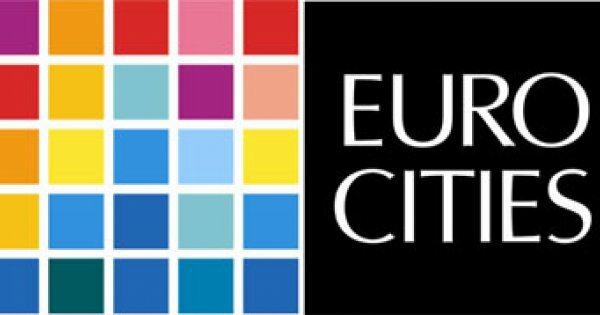 Active presence of Spanish cities in the decision-making bodies of EUROCITIES to create advocacy in the cities of the South. 5. Cohesion policy, Urban Agenda, Sustainable Development Goals (ODS), future of the network and future of Europe. 6. New Multiannual Financial Framework 2021-2027 and the situation of cities against the cuts in Community Funds in cohesion policy. 7. Analysis of the management model of the departments of International Relations in the different cities of the network. 8. Human and budgetary resources for the management of projects autonomously of the municipal services. A total of 12 Spanish cities are currently full members or associates of EUROCITIES and 9 of them participated these days in Valladolid: Barcelona, ​​Madrid, Sevilla, Fuenlabrada, Zaragoza, Bilbao, Gijón, Valladolid and Terrassa.